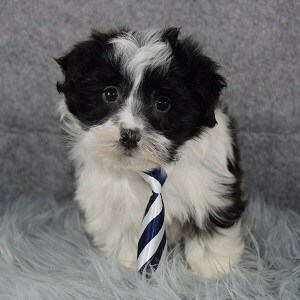 Temperament: Havanese puppies for sale in PA are a sweet and also friendly little dog. They are spirited, clever and also curious, and are easy to train. They make great family dogs, since they are very good with children and other pets. Havanese are very affectionate and empathetic, so they are great for therapy dogs. They are gentle and charming, and they also love to be the center of attention. They are an ideal breed for apartment living, but will enjoy outdoor time if allowed. The Havanese is a breed that can be crate trained but benefits greatly from a lot of one-on-one time with it’s master or other family members. 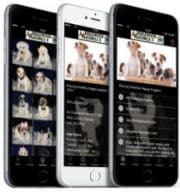 Ridgewood Kennels has been placing Havanese puppies for sale in PA, NY, NJ, DE, MD, RI, and farther for more than 40 years! All of Ridgewood’s Havanese puppies for sale go home with a written LIFETIME warranty as well as their puppy shots done. 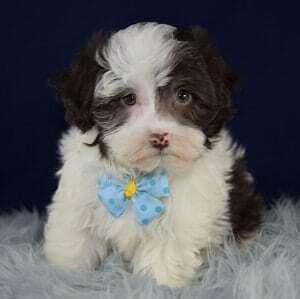 See Ridgewood Kennels Havanese puppies for sale in PA below! Activity: Havanese are a great apartment dog and do not need a yard, but would enjoy one if available and are able to keep up on walks. Grooming: If kept long, hair needs daily brushing. For shorter cuts, grooming is recommended every 4-6 weeks. Can be kept corded. Shedding: Havanese puppies for sale sheds little to no hair and is very good for people with allergies. Origin: The Havanese is a member of the Bichon Family. As part of the Cuban Revolution, upper-class Cubans fled to the USA, but few were able to bring their dogs. When American breeders became interested in this breed, the US gene pool was only at 11 dogs, so people with interest in this breed began smuggling them out of Cuba, into the states. The Havanese was offically recognized by the AKC in 1996.